James Woodress goes beyond previous biographers in drawing on some fifteen hundred letters, interviews, speeches, and reminiscences. He separates much fact from fiction and takes into account the ever-growing body of Cather criticism. The author of My Antonia and Death Comes for the Archbishop was in love with life: here are her passions, prejudices, and quirks of personality. 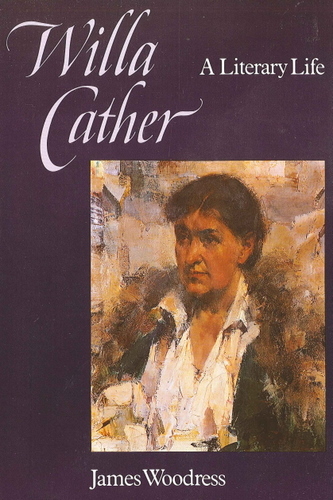 Thoroughly grounded in Cather's writings, which were autobiographical to an uncommon degree, Willa Cather: A Literary Life is likely to stand as the definitive biography of her for years to come. James Woodress, a professor of English at the University of California at Davis, is the author of Willa Cather: Her Life and Art and other books.